Challenge Based Learning provides an efficient and effective framework for learning while solving real-world Challenges. The framework is collaborative and hands-on, asking all participants (students, teachers, families, and community members) to identify Big Ideas, ask good questions, identify and solve Challenges, gain in-depth subject area knowledge, develop 21st-century skills, and share their thoughts with the world. 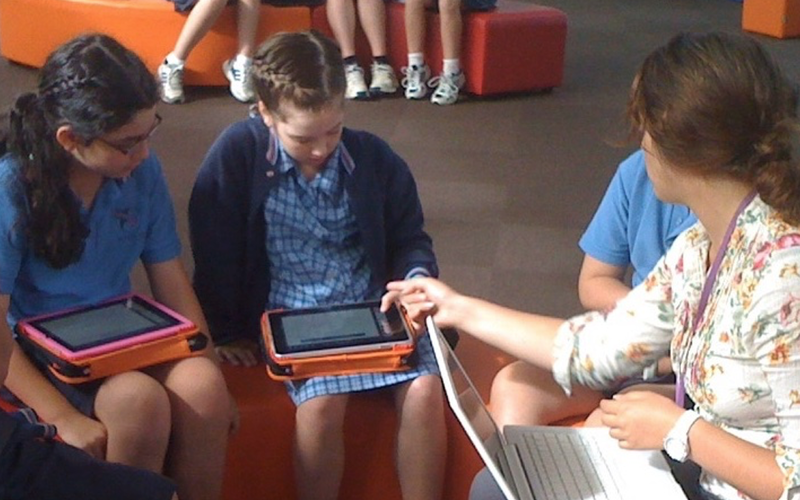 The Challenge Based Learning framework emerged from the “Apple Classrooms of Tomorrow—Today” (ACOT2) project initiated to identify the essential design principles of the 21st-century learning environment. Starting with the ACOT2 design principles, Apple, Inc. worked with exemplary educators to develop and test Challenge Based Learning. Challenge Based Learning builds on the foundation of experiential learning and leans heavily on the wisdom of a long history of progressive ideas. The framework is informed by innovative ideas from education, media, technology, entertainment, recreation, the workplace, and society. Teacher/Learner and Learner/Teacher. Ubiquitous access to information and technology provides the opportunity to break down the traditional hierarchical structure of schools and allows all participants to become both teachers and learners. Authentic Use of Technology. Technology is used to research, communicate, organize, create, evaluate, document and persuade. CBL as . . . Challenge Based Learning is designed to be flexible, customizable and allow for multiple points of entry. The approach can connect and extend current practice, serve as the framework for specific capstone events during the school year, and act as an overarching institutional wide framework for decision making and learning. Becomes central to the philosophy of the institution. Used at all levels: planning, organizing, teaching. Is used for a specific purpose.